Pink Gellac The V.I.P. 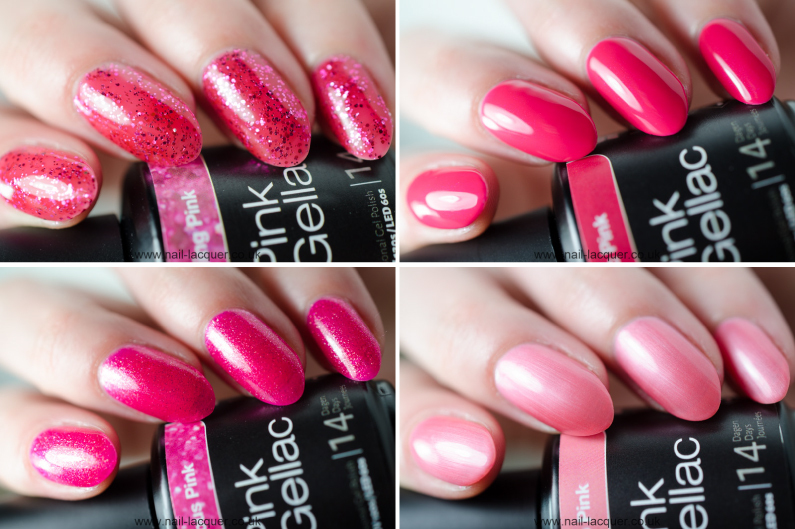 collection is the latest release by Pink Gellac. 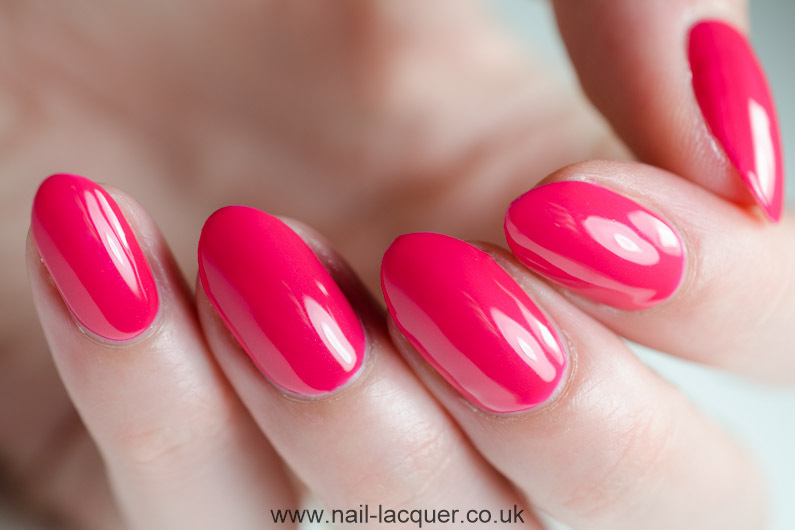 It consists of five PINK gel polish colours with different finishes. Looks like Pink Gellac has changed the brushes, the brushes are now nice and flat with round corners. Exactly my favourite kind. I love how close you can get to the cuticle with a round brush, leaving a very clean edge. While swatching these gel polishes I did not need to do any clean up! Other than that I was also positively surprised by the colours (I will mention my top favourites further down). There is plenty of variety considering that the whole collection is based on pink colour. As of application all of the colours were opaque in 3 coats. 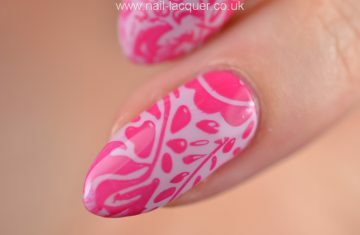 These gel polishes would have been perfect for Valentine’s Day nails, however pink is in all year long, isn’t it!? Lovely Pink is a baby pink polish with cold undertones full of golden glass fleck sparkle. On the swatches I am wearing three coats of gel polish. 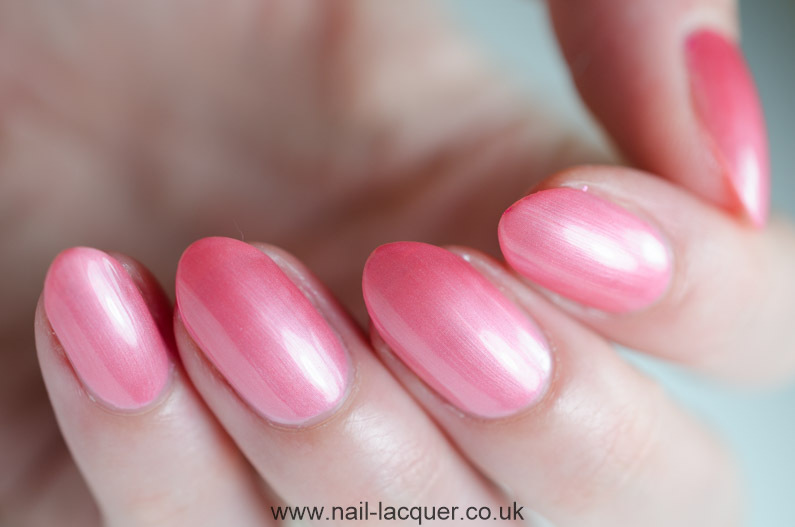 Flamingo Pink is a peach pink polish with pearl shimmer finish. On the swatches I am wearing three coats of gel polish. 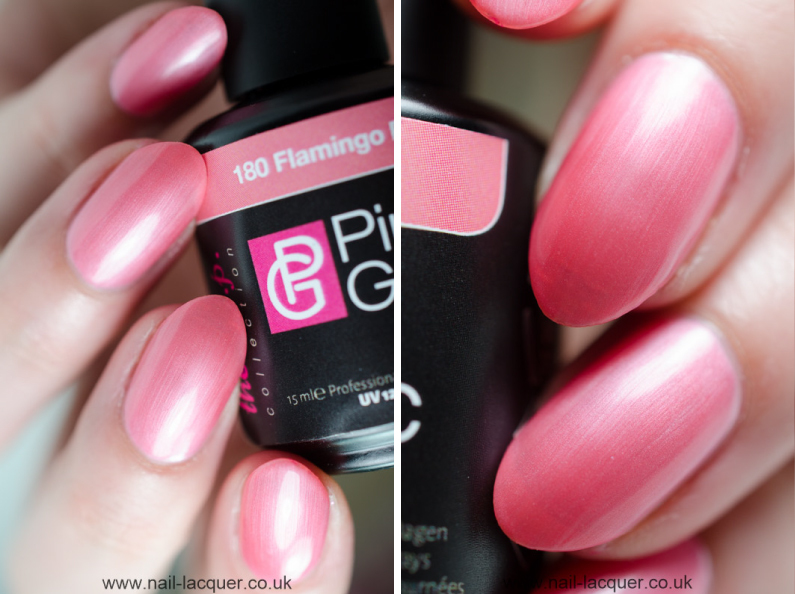 The polish is a bit more flamingo colour in real life than on the images. Partylicious is a bright fuchsia pink polish with golden glass fleck sparkle finish. On the swatches I am wearing three coats of gel polish. 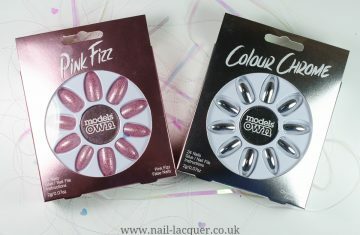 This is a truly beautiful polish, my favourite from the collection! 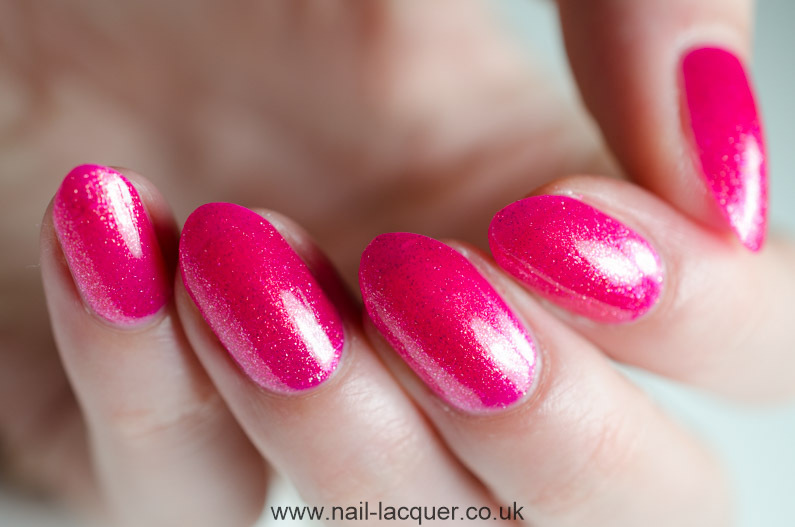 Sparkling Pink is a pink jelly polish full of pink glitter. On the swatches I am wearing three coats of gel polish. Another gorgeous combination! 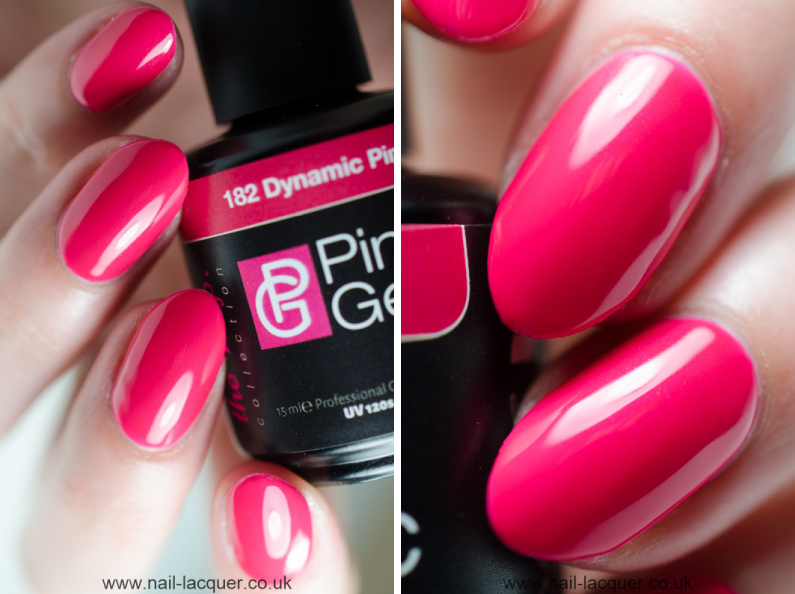 Dynamic Pink is a bright dark pink polish with light shimmer finish. On the swatches I am wearing two coats of gel polish. The shimmer in this polish is very delicate but the coverage is great and the overall look flawless. February 22, 2015 By A.J. April 10, 2017 By A.J.